IRVINE, Calif. (February 13, 2019) – Thermador, the iconic American luxury home appliance brand, has been chosen to showcase luxury home appliances at the 2019 New American Home®. A collection of innovative Thermador cooking, cooling, cleaning and ventilation appliances are thoughtfully placed throughout the home, selected for their virtually limitless customization options, stunning design and revolutionary features – including the exclusive Thermador Connected Experience by Home Connect™. Seamlessly integrating culinary ambition with exceptional living, Thermador delivers a connected experience across all product categories – allowing luxury entertainers to get the most out of their appliances and further enhance their extraordinary lifestyles. Through Home Connect™, the Thermador Connected Experience will build a personal connection with consumers and take them on an exceptional journey by providing access to exclusive Thermador experiences such as personalized content, unique partnerships and customized product guidance. The New American Home®, presented by the National Association of Home Builders (NAHB), is part of the official showcase homes of the International Builders’ Show (IBS) and designed to inspire the thousands of builders, designers and remodelers attending Design & Construction Week®. The New American Home® will be officially unveiled to the public during IBS, Feb. 19-21. As every memorable culinary adventure begins with fresh ingredients, The New American Home® showcases an expert assortment of refrigeration columns throughout the home. The Thermador fresh food and freezer columns, wine columns, and under counter refrigeration are seamlessly integrated in the kitchen, bar, guest suites, garage and master bedroom, reflecting the array of areas where entertaining most often takes place. And because every dinner party requires the most pristine dishware, the completely redesigned, custom-paneled Thermador Star Sapphire® Dishwasher takes center stage in the kitchen. Featuring StarDry™ with Zeolite™, the luxury appliance sees to it that items emerge dry – even sturdy plastics and containers with hard-to-reach crevices. Standing proud in the heart of the home, the Thermador 60” Pro Grand® Steam Range and a 60” Pro Grand® Wall Hood add a bold, distinct flair to the kitchen, along with the 30” Professional Combination Speed Oven that combines convection baking, broiling and microwaving into one powerful, multifaceted unit. Finally, the Thermador Built-In Fully Automatic Coffee Machine is every espresso connoisseur’s dream, exuding a sleek design, a full-color LCD screen and settings for different size beverages. The 2019 New American Home® is located in the luxury home community of Ascaya in Henderson, Nevada. The talented design-build team from Sun West Custom Homes created the New American Home®, skillfully distinguished by incorporating a wide variety of contemporary-modern design, characterized by minimal decoration, abundant glass and flat rooflines. Showcasing the technological advances that the housing industry has to offer, the New American Home® features 8,226 sq. ft. of leading innovation in technology and design, complete with outdoor transitional entertainment – including a vanishing edge pool and a custom fireplace. Registered 2019 IBS and KBIS attendees can tour The New American Home® during show hours. Tickets are required and available complimentary on-site to registered attendees by visiting The New American Home® booths in the IBS lobby. 60” Pro Grand® Steam Range: With a steam and convection combination oven, full size convection oven, warming drawer and next-generation surface cooking with full size double griddle, the Thermador Pro Grand® Range offers a bold design, easy-to-clean surface, and exclusive features such as the patented Star® Burner. 36” Fresh Food Column: New 36” columns offer ample space for interior storage, enabling you to customize different sizes for fresh food preservation. The innovative ThermaFresh System ensures that every ingredient is chilled, crisp and ready to prepare. Under Counter Refrigeration: Providing the ultimate storage for beverages and beyond, the Under Counter refrigeration units boast customizable drawer dividers and shelving as well as personalized cooling modes, SoftClose® door hinges for ultra-smooth closing and LED Lighting. 24” Built-In Wine Preservation Column: An absolute must for wine connoisseurs, this ultra-sleek unit can hold up to 92 bottles and offers up to three cooling zones to ensure wines are stored at the optimum temperature and humidity. Thermador Star Sapphire® Dishwasher: A groundbreaking, new luxury dishwasher loaded with never-before-seen features – most notably StarDry™ with Zeolite™ – can even dry sturdy plastics and containers with hard-to-reach crevices. 30” Professional Combination Speed Oven: Combines convection baking, broiling and microwaving into one powerful, ultra-accessible unit. With 16 cooking modes and the multi-point meat probe, cooks experience better precision to perfect their culinary creations. Since 1916, Thermador has introduced innovative breakthroughs – from the world’s first wall ovens and gas cooktops with the patented Star® Burner, to the Freedom® Induction Cooktop, the first full-surface induction appliance, as well as the Freedom® Collection, the first modular built-in fresh food, freezer and wine preservation columns. 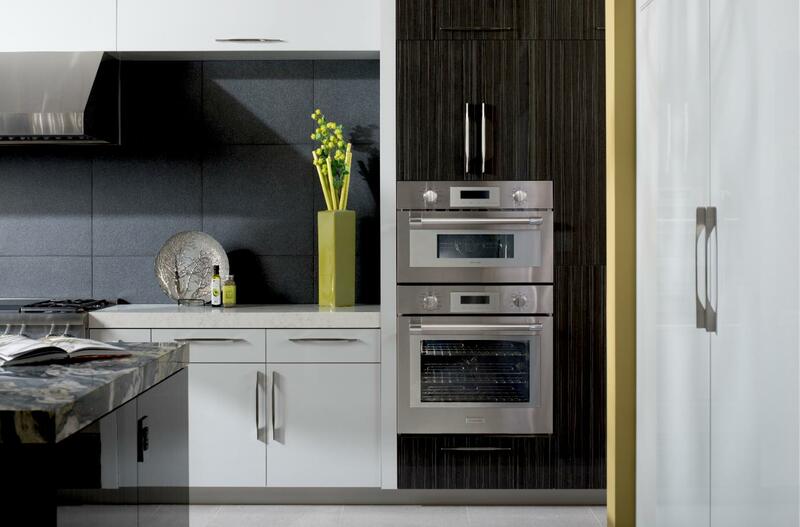 New Thermador products span two completely redesigned collections: Masterpiece® and Professional. These collections establish a true connection with consumers through the exclusive Thermador Connected Experience by Home Connect™. 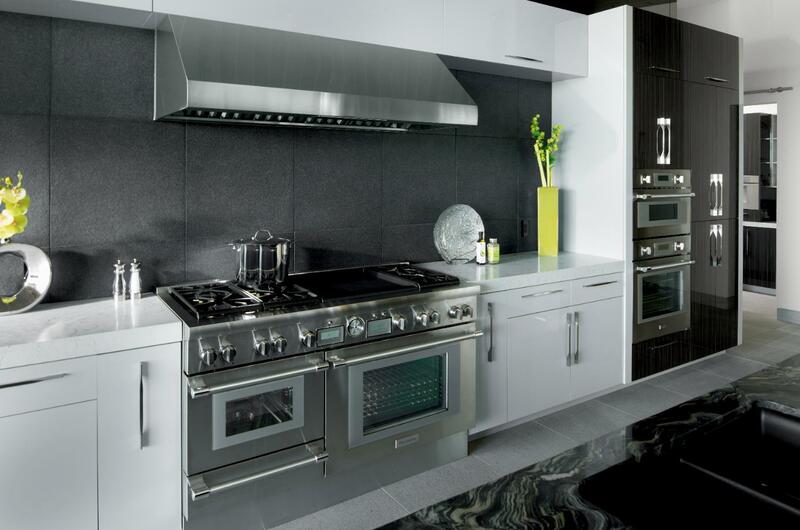 The Thermador Connected Experience provides access to exclusive personalized content, unique partnerships and customized product guidance. Thermador is part of BSH Home Appliances Corporation, a fully owned subsidiary of BSH Hausgeräte GmbH, the largest manufacturer of home appliances in Europe and one of the leading companies in the industry worldwide. For more information, visit www.thermador.com or follow us on Facebook, Twitter and Instagram at: www.facebook.com/thermador, @Thermador and @ThermadorHome, respectively.